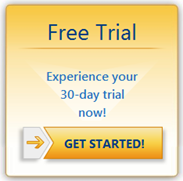 This post is the Microsoft Dynamics CRM 2011 Online Test Drive Guide, a high level guided tour of the application to help you get the most out of your 30-day trial experience. The guide will take you through key steps to a successful experience starting from the initial setup to using Microsoft Dynamics CRM 2011 Online with your data. Within this guide “Helpful Links” have been put in place to quickly take you to resources that will demonstrate the “how to” while using CRM 2011. .
Best Practices: Many of the “Helpful Links” links have been selected directly from the Resource Center module in CRM 2011. There are many more links in the Resource Center that give additional guidance on topics, it is always recommended to search on a topic in the Resource Center for additional help. When using the Microsoft Outlook client, Microsoft Outlook users can manage CRM 2011 directly within Outlook. Users can save time and effort by tracking emails, contacts, appointments, and tasks for both CRM 2011 and Outlook all from a single user interface. The user interface for Outlook users will be more familiar, resulting in less training and higher adoption. Because of this rich integration users will no longer have to open multiple applications to complete a process and or track information, and rather spend more time on business rather than “where to click”. The end goal is to provide a seamless experience to increase your business productivity. There are two different methods to installing the Outlook Client through the web client and manual download. Note: Administrator rights will be needed for install on each user’s machine. CRM 2011 out-of-the-box will provide pre-defined entities, fields, and demo data that are most commonly used in businesses today. In order to streamline CRM 2011 for your end users to help increase efficiency and productivity, CRM 2011 provides a user interface that allows you to easily create, edit, and delete entities and fields. With point and click functionality, you can configure the forms so that when end users views a record they only view the fields that are associated to their daily work. This makes it easy for users to quickly enter in the information needed and move on to other work items. Not only will it make your end users more productive, it will also increase adoption of the solution. By only displaying what users will need and use, they will easily adopt the solution and soon increase CRM 2011 to be streamlined into their rhythm of business in day to day work experience. The flexible design truly allows CRM 2011 to fit into your organization structure and processes and not the other way around. Best Practice: It is recommended to look at your existing data and to see what will need to be migrated into CRM 2011 if you are moving from an existing system. Based on the fields that you are currently using, this will give you a head start on what fields you can use that are provided out-of-the-box or which ones need to be created prior to data import. This will be discussed in more detail later in this document. CRM 2011 provides out-of-the-box security features and functionality by providing flexible business units and security roles. Business units can be used to setup a hierarchy structure or simply split departments within CRM 2011. Security roles can be configured for a specific role within CRM 2011, based on these roles you can manage what records users can view and what functions they can take against those records. This flexible design allows you to control how much of CRM 2011 to open up across different business units and or individual users. Note: When removing all privileges for an entity in a security role, CRM 2011 will hide that entity from that users form when logged into CRM 2011. Also, after creating a custom entity ensure that privileges are turned on for the security roles that will need to access that entity. Be default the privileges will remain blank except for the System Administrator role. Workflows can be created in order to automate processes in CRM 2011. You have the ability to create a powerful workflow using the interface provided within the application. No code is needed to create workflows, it is simply a point and click functionality. Best Practice: It is recommended to create a flow chart of your processes prior to creating the workflows in CRM 2011. Now that you have configured CRM 2011, you are ready to import your data. 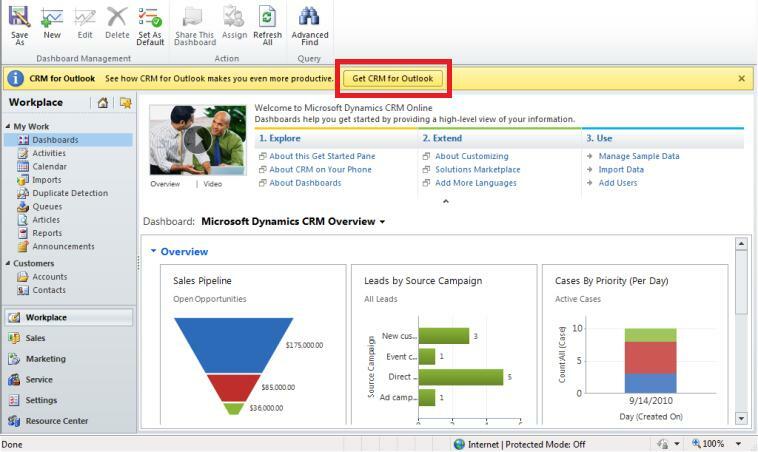 CRM 2011 provides an out-of-the-box Data Import Wizard. Users have the ability to flat file their data into a .CSV file, create data maps, and import their data. For a more automated import that has a direct connection to your local file and or data source, CRM 2011 recommend using ISV tools in order to migrate the data over. Now that you’ve configured Microsoft Dynamics CRM 2011 as much as possible out-of-the-box, you may be thinking about extending CRM 2011 with the use of Jscript, plug-ins, Iframes, API, and CRM 2011 SDK. If you have a developer resource, you may be able to leverage them to create these extended functionalities. CRM 2011 is built on a robust platform that allows developers to create functionalities that are normally not provided out-of-the-box. However, we recommend evaluating one of our CRM partners who provide such services and expertise. Lastly we want to leave you with some additional resources for you and your organization. Democrmonline Site: www.democrmonline.com – this site was created and maintained by the Microsoft Dynamics CRM Online Team. This site provides many additional videos to help you work in CRM 2011. Also, users can register for one hour weekly webcasts hosted by the team every Wed and Thurs. These webcasts will cover both Sales Overview and System Administration.